The EUR/USD has done trading within the third downward wave and is now forming a consolidation pattern. If the price goes down, it may reach 1.1625; if it goes up, the correction towards 1.1679 may follow, and then a fall till 1.1625. 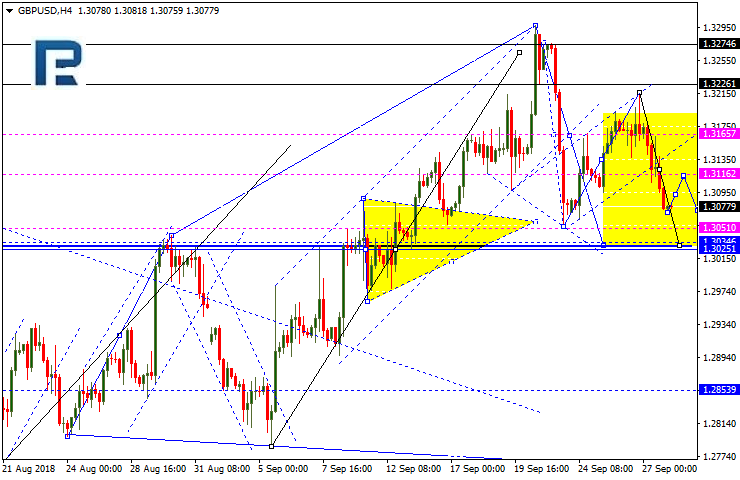 The GBPUSD is continuing to trade within wave 5 (downmove), the target being at 1.3030. 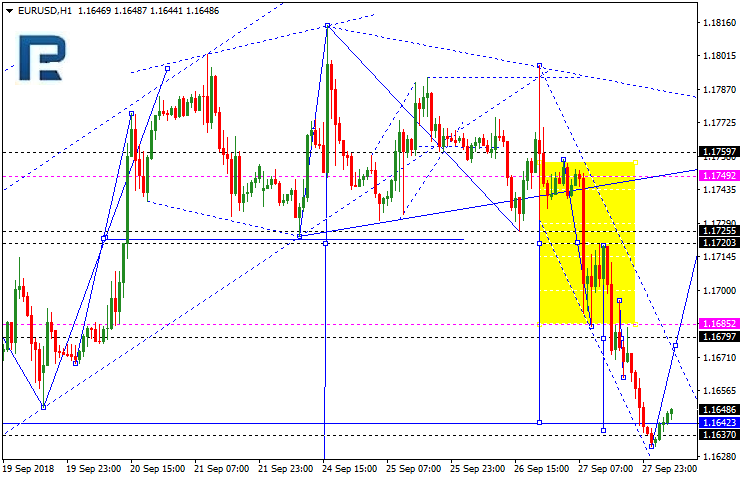 Today, it may start going up to 1.3115, and then get back to the downward wave again. Then, it may start correcting to 1.3166. The USD against the franc is trading as if it were inside wave 3 going upwards. Today, it may start consolidating. If the price goes down, the correction towards 0.9700 may follow, if it goes up, the continuation towards 0.9858 is likely. The dollar is inside the extended wave 3 against the yen; today, the pair may start consolidating near its highs. A downward breakout will push the price down to 112.00. 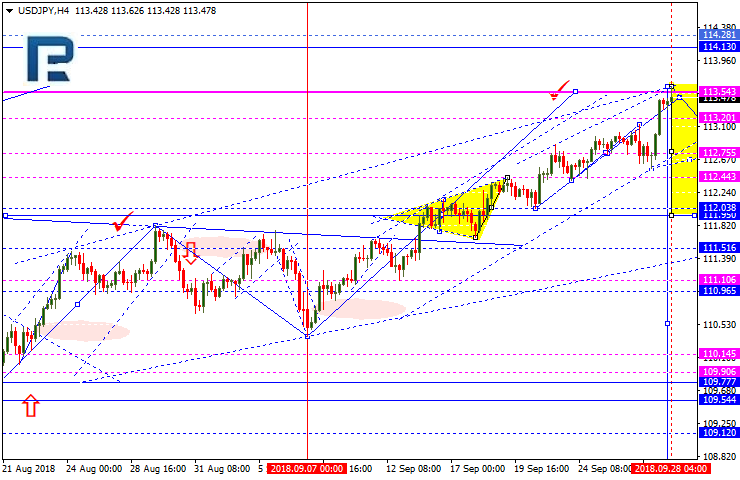 If the price goes up, conversely, the continuation towards 114.10 is likely. 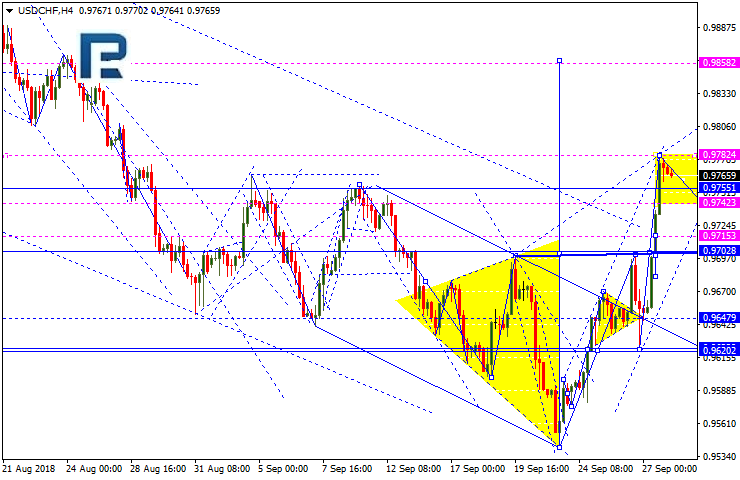 The AUD/USD reached the third descending wave local target. 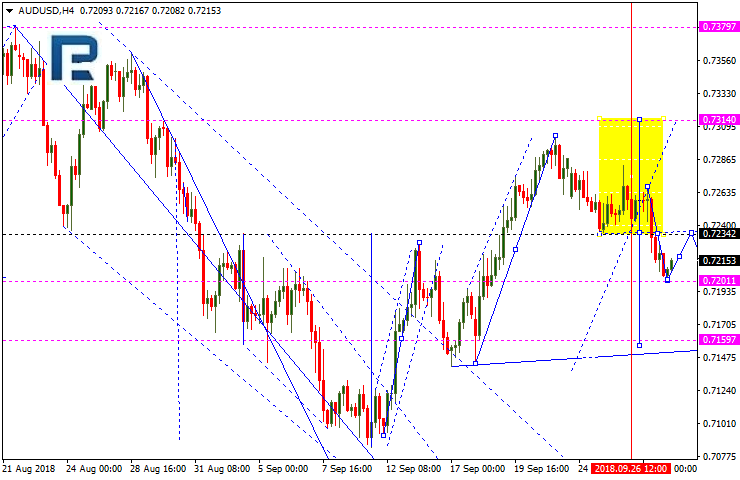 Today, it may rise to 0.7232, and then a fall till 0.7160, which is going to be the first target. The USD/RUB is still inside the consolidation range and is trading near its lows. If it goes up, the correction towards 66.80 may follow, at least. 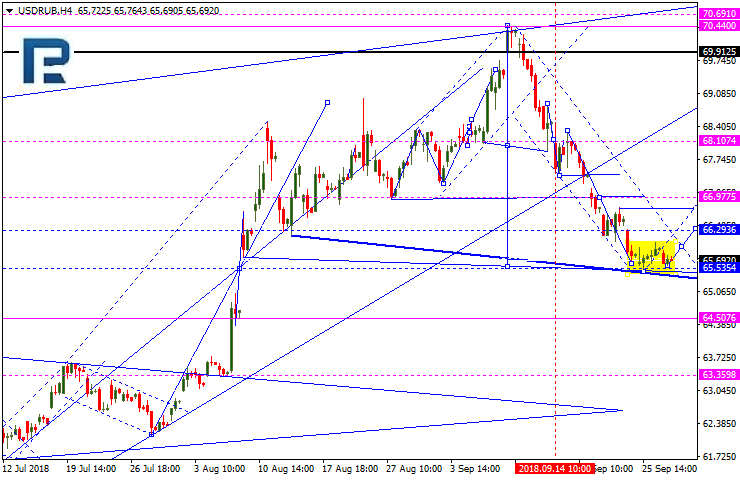 If the price goes down, it may reach 64.50. 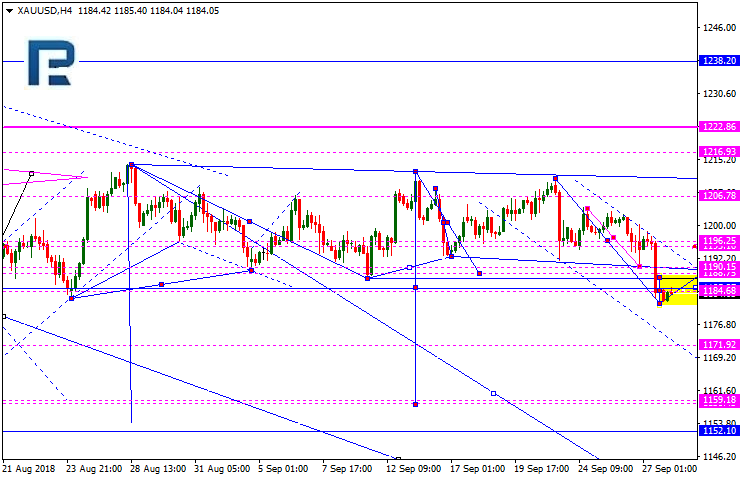 Gold has reached its downtrend target and may now start consolidating near its lows. If the price goes up, the rise towards 1195.00 may follow, while a converse breakout will push the price down to 1171.90. Brent crude is forming the consolidation pattern near its highs. 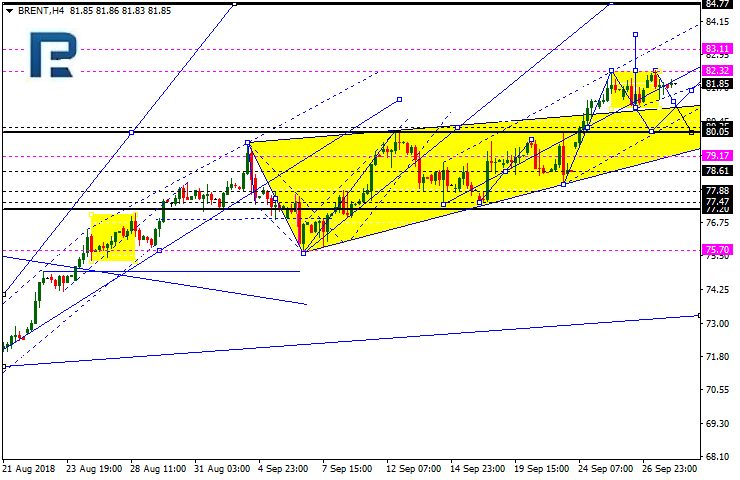 This pattern may reach 83.10, and then, once a breakout occurs, go down further to 80.00.